I GOT NEW BLOG LAYOUT !!!! But now as I can't stand how cute it is now, I can't wait to fill my online diary with many things!! Last week I had a total holiday, like really nothing or no job to do! why I am rambling like this, wait, let's back to the topic. My new blog layout yes! Thanks to Chichi for the cute graphics and Kaila for coding! I also order to make reading my blog easier and funnier! 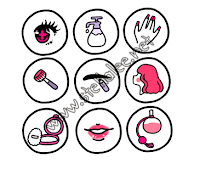 I have my main topic = Beauty, Fashion, daily Life, Japan, and Travel and their team made the icons for each topic! So if you click on it, you'll be lead to the topic ! What do you guys feel about my new blog layout? Anyway, recently I've got some new stuffs too !! And anyway I cannot stand Korean lens anymore. Once you wear Japanese Lens, you can feel that the comfort from Korean lens like Geo is really really bad.. Anyway, all the pictures in this blogpost are taken by NEX-5R that I bought! Isn't the quality very comparable and similar with my DSLR? But I still don't know how to operate it that well so I'll learn about it more! love the new layout! Kaila and Chi are so talented!! 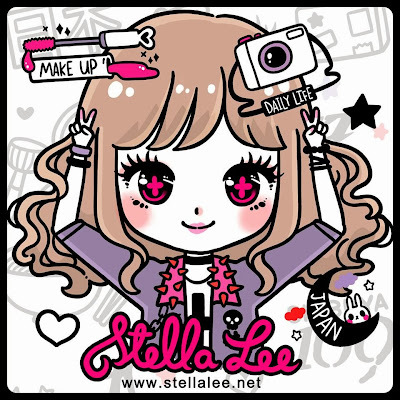 but your blog was cool to begin with ^_~. love the new layout! kaila and chi are so talented! but your blog is awesome either way! ps. I have the same camera! i love it! so many great features! haha thank you, but they make it more awesome! the layout is the cutest *^* I really love it! I can't get over how cute this layout is! omg it is so cuteee!!! pink and black does reminds me of Japaneses cartoon artwork! this is yet kawaii but modern! love itttt! *_* your compliment makes me and the others feel so happy!! sukaaaaaa layout nya bannernya headernyaaa!!!!!! also those tiny icons for each part of face... Good job Kaila-san! I love your blog!! The new layout is so cute!! SO cute, your new layout is amazing! kalo pertanyaan seputar itu, coba fb fan page msg aja..
ga panjang sih sebenernya cuma pengen nanya wkt rambut kaka rontok parah itu dikasih treatment apa aja ga gitu? soalnya aku skrng takut banget rambut pada rontok kecil-kecil bahkan pas bangun tidur.. takut habis rambutnya :(( sampe pake hair growth serum nih jdinya.. nyisir takut, keramas juga jadi parno.. I've never heard of Menard! The packaging looks so pretty, I hope you will do a review on them soon ^^ and your new blog layout is really cute!